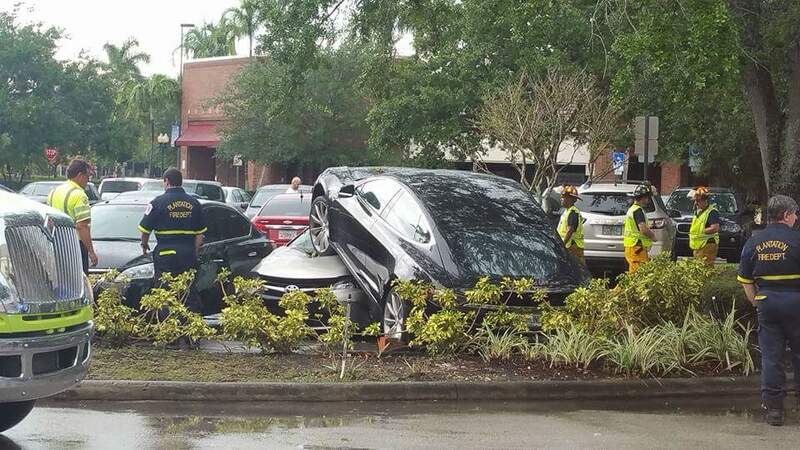 A black Model S ended up jumping a curb in a parking lot of a shopping mall on Saturday 1 p.m. in Plantation, Florida and landed on top of a Toyota Camry. Apparently the driver briefly dozed off behind the wheel, his passenger grabbed the wheel upon noticing. 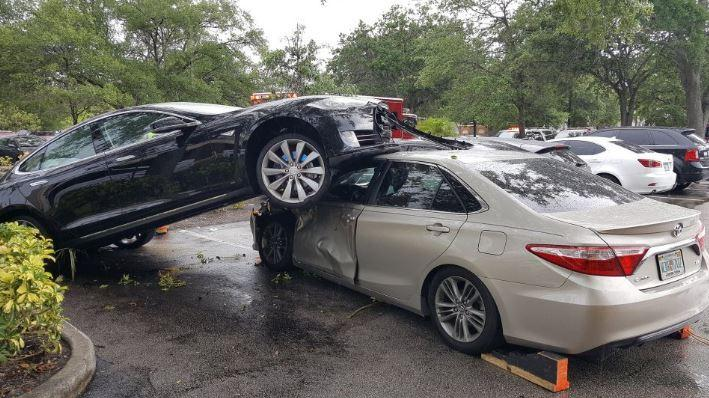 "The car apparently jerked, went up over the curb and rode up over the parked car," said Plantation Fire Department Battalion Chief Joel Gordon. 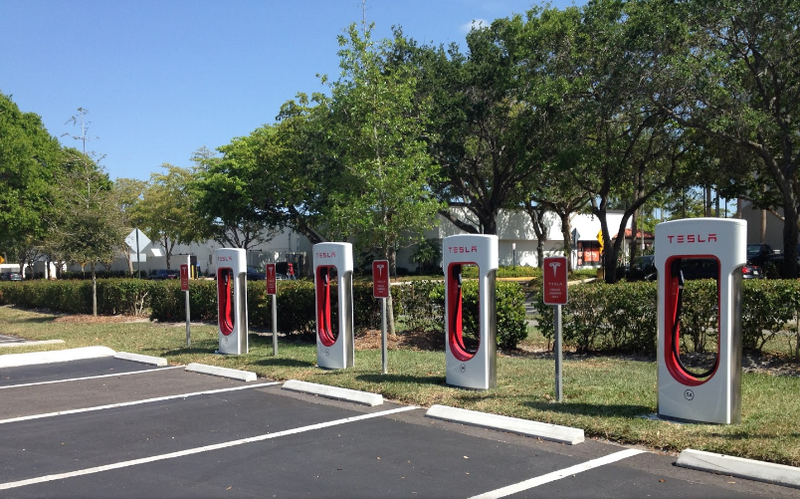 The accident happened in the 800 block of South University Drive, a Supercharger station is located in this parking lot. The impact of the Model S hitting the Toyota Camry caused the Camry to hit two other stationary cars, a Nissan Sentra and a Ford Focus. No one was inside the parked cars. 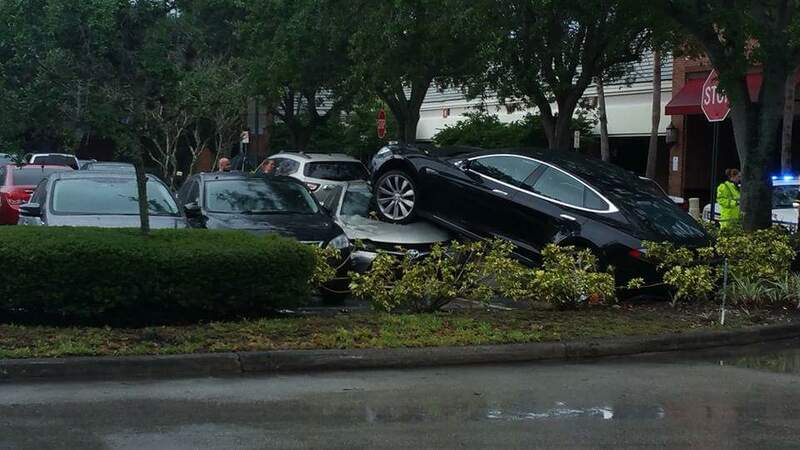 Luckily the Tesla driver and his passenger were not hurt either. There are an average of 27,397 gas guzzler crashes per DAY in the US alone! They kill an average of 117 people per day, plus an additional 15 people per day who die from just inhaling the toxic fumes from fossil fuel cars. 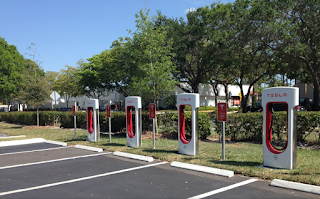 But of course we all know that electric cars are the real bad guys, right? This is bogus. 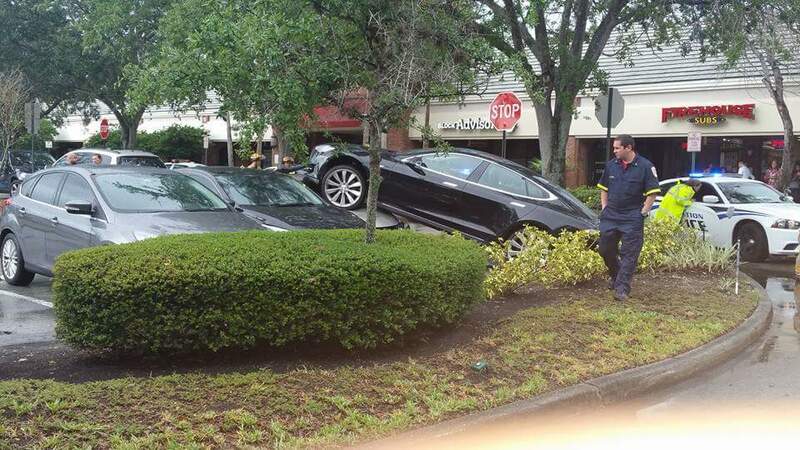 There is no indication that the Tesla ran over the bushes behind it. 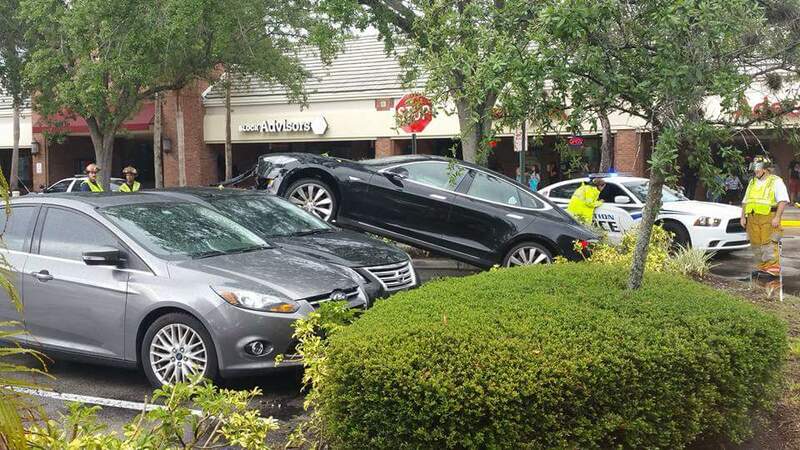 More likely the other car ran into the Tesla.